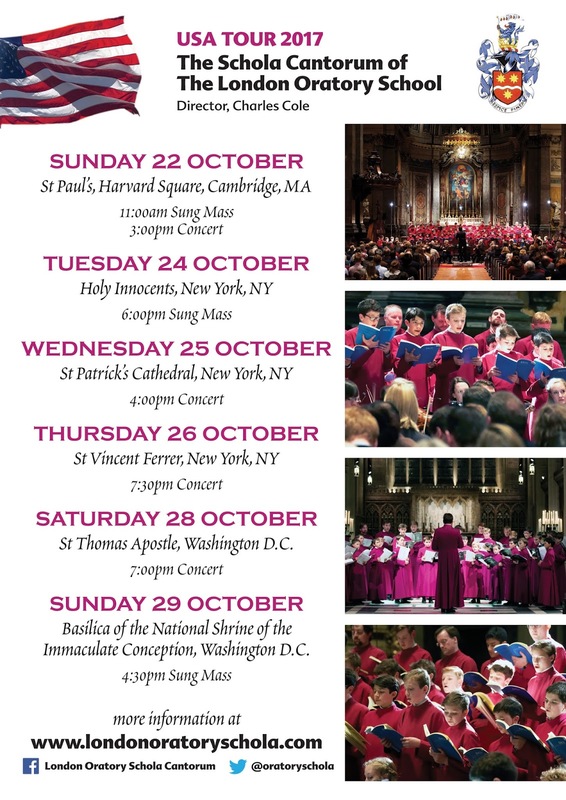 Those in the northeast will be delighted to learn of the upcoming USA tour of the Schola Cantorum of the London Oratory School, undoubtedly one of the finest choirs in the world. This should certainly should be an occasion of joy for anyone who loves Catholic sacred music; the Schola is a model for the spiritual and musical formation of children at the service of the worship of God in the sacred liturgy. The Schola will be in the USA from October 22 to 29, visiting Boston, New York, and Washington DC. In keeping with their mission as a group, which finds its home primarily in the sacred liturgy, they will be singing for Masses as they go. 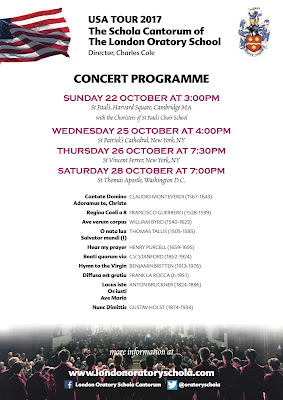 I am looking forward to taking the groups of children that I teach to see one of the concerts; others might consider doing likewise, for the concerts and Masses will be inspiring in every way. 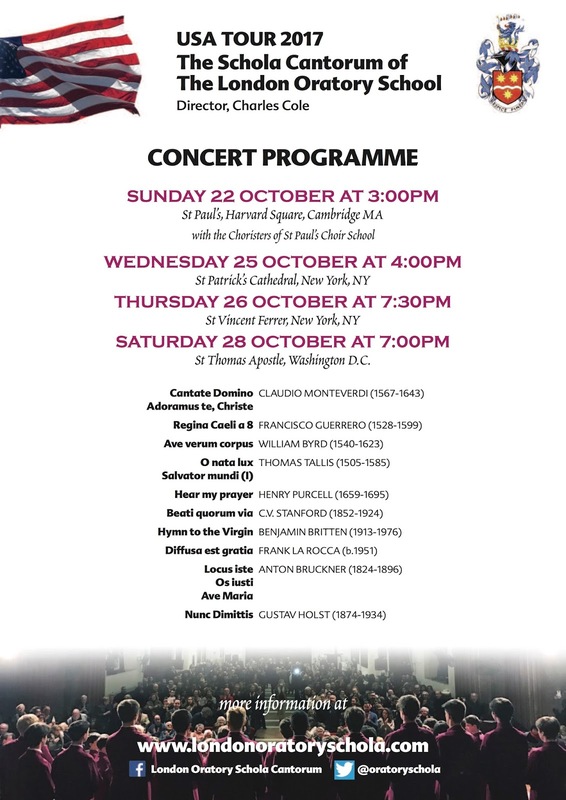 The concerts will feature music by Monteverdi, Guerrero, Byrd, Tallis, Purcell, Stanford, Britten, La Rocca, Bruckner, and Holst.